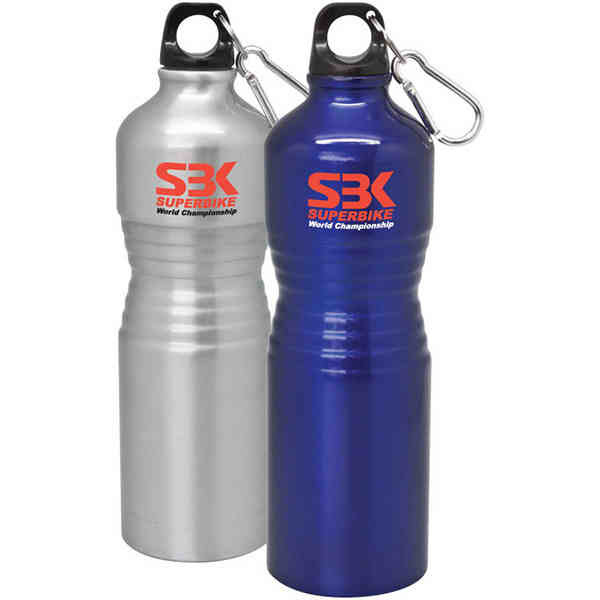 Etna - 25 oz aluminum sports bottle. Leak proof lid with carabiner clip. Reusable. Odor free. BPA free. Eco-friendly. Imprint Size:2 1/2" x 3"